Learn about the resources and training available to help raise public awareness about sexual violence and methods to prevent it. 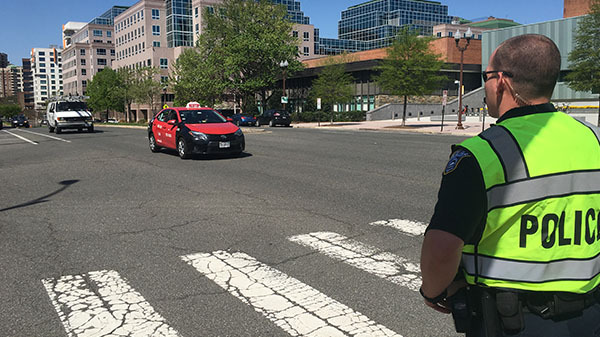 ARLINGTON, Va. – Sexual Assault Awareness Month, recognized each April, aims to raise public awareness about sexual violence and educate communities on how to prevent it. Arlington County is committed to reducing incidences of sexual violence while providing victims and survivors with support services and holding perpetrators accountable for their actions. In recognizing that sexual violence is a community issue, stakeholders representing various agencies in Arlington County are partnering on comprehensive training programs addressing prevention and intervention strategies to reduce sexual, domestic and dating violence with adults and youth. Arlington is committed to providing a consistent and coordinated response to individuals reporting sexual violence. While victims may seek the assistance of police in the immediate aftermath of an incidence of sexual or domestic violence, they also may need medical attention, mental health support and safety planning to reduce further incidents of violence and support them through the traumatic experience. To meet the diverse needs of survivors and victims of sexual assault, a range of stakeholders – including law enforcement, prosecutors, advocacy groups, and medical and mental health services providers – participate in a Sexual Assault Response Team (SART) training course to understand each agency’s role and the unique challenges they face in preventing and reducing incidents of sexual violence. Learn more about the SART protocols and how they are being implemented. In recognizing that alcohol plays a role in domestic and sexual violence, the Arlington Restaurant Initiative has partnered with the Commonwealth’s Attorney Office Victim/Witness Program to provide restaurant staff with Bar Bystander training to reduce and intervene in cases of sexual and domestic harassment and assault. Arlington’s Project PEACE, a coordinated community response dedicated to advancing the most effective and efficient array of education, prevention, protection, and support services to end domestic and sexual violence in the community, created the Bar Bystander training. The goal of the Bar Bystander training is to increase awareness of how sexual violence is perpetrated in bar and restaurant settings. This training introduces staff to the bystander effect and how to recognize situations and behaviors that may culminate in sexual harassment or assault. They also train restaurant staff to use discrete intervention techniques to ensure patron safety. Learn more about the voluntary Arlington Restaurant Initiative and how to request training for your establishment. ‘Ask for Angela’ is a community awareness campaign designed to provide restaurant patrons the ability to discreetly ask for assistance. Whether on a date that isn’t working out, in a situation that doesn’t feel safe, or in an establishment where someone is acting inappropriately, patrons can approach restaurant staff and ‘Ask for Angela’ – a phrase aimed at alerting staff that the patron feels unsafe, intimidated or threatened. Restaurant staff will help remove the patron from the situation and provide the requested assistance – whether it’s helping to call a friend or family member, securing safe transportation or notifying police. ‘Ask for Angela’ was created in 2016 by Hayley Child the Substance Misuse Strategy Coordinator for Lincolnshire County Council. It has been adopted with permission into the Arlington Restaurant Initiative and training is provided to restaurant staff on what to do if a situation occurs where Angela is requested. Join Arlington County Police at the 7th annual Take Back the Night event on Thursday, April 25 from 5:00 P.M. to 8:00 P.M. at Arlington Gateway Park located at 1300 Lee Highway. Take Back the Night is a community gathering dedicated to empowering those who have been victimized by sexual violence and helping all survivors reclaim their voice. Find additional Sexual Assault Awareness Month events and activities. If you or someone you know is experiencing abuse in our community, call Arlington’s 24-hour Domestic & Sexual Violence Hotline, managed by Doorways for Women and Families, at 703-237-0881 for information and support. Please call 911 if you are experiencing a life-threatening situation. 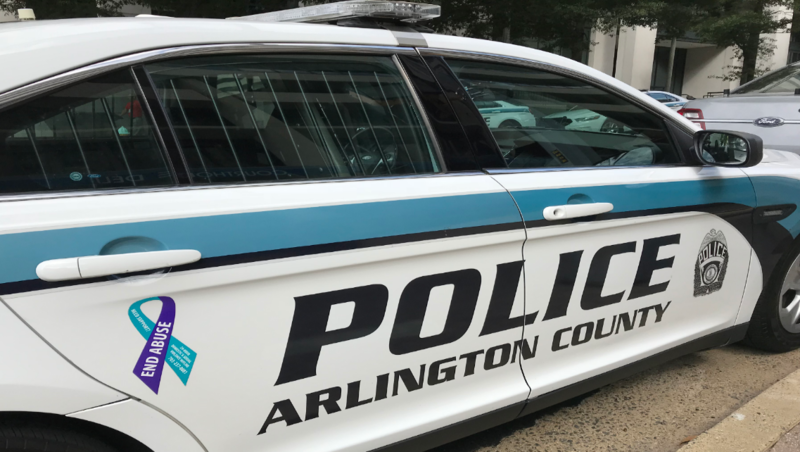 The Arlington County Police Department will implement road closures near Alcova Heights Park on April 13 to accommodate Arlington Palooza.